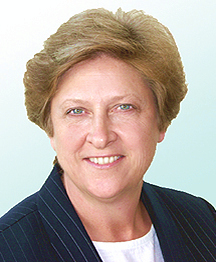 Anne P. Stark is a mediator and arbitrator with over thirty years of experience as a litigation attorney. She has a broad litigation background including claims involving a wide range of general contract matters, warranty issues, the Residential Construction Liability Act, the Deceptive Trade Practices-Consumer Protection Act, business torts, commercial matters, and personal injury. She has represented both plaintiffs and defendants ranging from individuals to corporations, and has handled cases ranging from small claims to multi-million dollar matters. For the past twenty years, the majority of her litigation practice has involved claims arising from construction defects, water damage, foundation movement, and mold contamination. Notwithstanding this litigation background, Ms. Stark’s most significant experience for the practice of alternative dispute resolution has been the hundreds of claims and cases that she has advocated for settlement. She has participated in mediations and arbitrations as an attorney representing both plaintiffs and defendants to reach successful resolution of their disputes without lengthy trials. Ms. Stark earned her law degree in 1982 from Villanova University where she was the Third Circuit Editor for the Law Review. She received her undergraduate degree from the University of Texas. In 1998, Ms. Stark formed The Law Office of Anne P. Stark, P.C. That practice invoved litigation of construction defect disputes and alternative dispute resolution. Prior to this, she practiced with William M. Hayner & Associates for fifteen years. The Hayner firm practice included general civil litigation with emphasis on personal injury matters and the Stark firm litigation involved more contract/construction cases. Over the past fifteen years, Ms. Stark has pursued a dispute resolution practice involving mediation, arbitration and appraisal procedures. In that endeavor, she has helped numerous litigants reach final resolution of their claims across a wide spectrum, including commercial and residential construc- tion cases, property damage of all types, subrogation matters, personal injury, multi-party matters,medical and legal malpractice, product liability, bad faith and insurance claims, real estate transactions, and eminent domain disputes. She no longer accepts new litigation clients, as she is devoting her practice solely to alternative dispute resolution. Anne P. Stark is licensed to practice in Texas, and is admitted to practice before the United States District Court for the Northern District of Texas.